A Reishi mushroom is among the fungi that are easy to grow. It is popular for its many health benefits. However, this mushroom is not delicious. It is also tough and hard when dried. Because of this, Reishi is not commonly eaten or added to dishes, unlike many other types of edible mushrooms. Instead, many people make into tea. 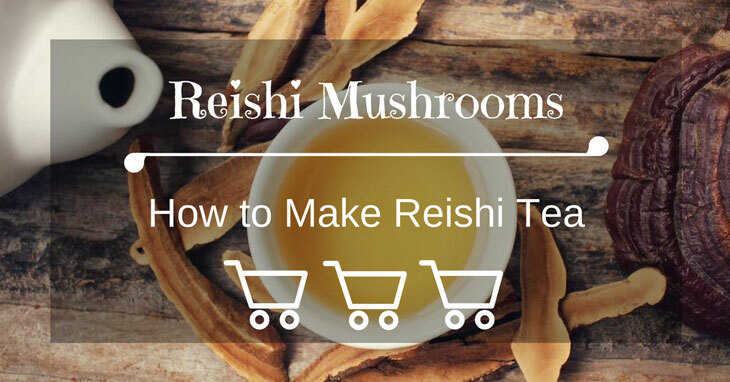 If you are wondering how to make Reishi tea, I will show you how. Before I will touch on the procedure in making Reishi mushroom, it would be good to delve into its health benefits first. An article published by the Huffingtonpost mentions the use of Reishi in ancient times, particularly by Shinghuang, the first emperor of China in the 221-207 B.C.E. At that time, Reishis are reserved for royalties to improve their health and extend their life. Taking it daily for 12 months reduces the number of colorectal adenomas. Another early research suggests that taking a particular Reishi product daily in 12 weeks reduces the hemoglobin level of people suffering from diabetes. Nowadays, dried Reishi mushrooms are widely available commercially, in powder, in pieces, or in whole form. If you take this mushroom regularly, you may as well grow it in your home. 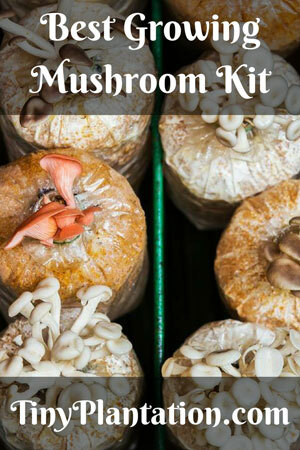 Our guide on how to grow Reishi mushroom may help you. When they reach maturity, you can then harvest the Reishi mushrooms and dry them. 1. Find a sunny non-humid area. It can be a windowsill, flatroof or any flat platform that is directly exposed to the sun. If the place is humid, your mushroom will rot instead of dry. A good spot is also one protected from insects, animals and moisture and with a good airflow. 2. Do not wash them with water after harvest. You can just dust them off using a clean soft brush. 3. Slice the Reishi mushrooms into several pieces, depending on the size. 4. Lay them on the platform, making sure not to stack them. 5. Leave them to dry. Since Reishi mushrooms are thick, it may take a few days for them to dry. If after several days the mushrooms did not fully dry, you may finish drying them in the oven. There are many other sun-drying techniques for Reishi, depending on what method you are comfortable using. What’s important is that you know how to dry these mushrooms because the dried version is the main component in making Reishi tea. Preparing Reishi tea is a straightforward process. If you are making tea from a dried whole mushroom, you need a sharp cutting tool to get through Reishi’s tough exterior. Dried Reishi (ground or slices) – the recommended service per person a day is 3 to 5 grams.Water – It all depends on how strong you want your tea or how many servings you want to make. If you can’t decide, try adding 5 cups of water for every 3 grams of Reishi. 1. Using a ceramic or stainless steel pot, bring the water to a boil under medium heat. 2. When the water is boiling, add the Reishi mushrooms and leave it to boil for at least 15 minutes. 3. Reduce heat and let the water simmer for 2 hours. Check from time to time if there is still enough water on the pot. You may have to add more if the water has evaporated. 4. Remove from heat and then strain. 5. Set aside to cool before drinking. Note: As an alternative to boiling on your stove top, you may also prepare Reishi tea using a crockpot. Put it on high for several hours. Reishi tea tastes bitter and many people doesn’t like it. To improve the taste, you can add sweetener like honey. Avoid using refined sugar as it will defeat the purpose of having a healthy drink. You may also add ginger, lemon and other fruit extract. I found this Organic Reishi Pomegranate Iced Tea recipe published at I Just Love My Apron. You may want to try this one. 1. In a saucepan, add Reishi, ginger, star anise, and pomegranate juice. 2. Bring it to boil. Turn the heat to low and simmer it for about 20 minutes or until the Reishi sinks at the bottom of the saucepan. 3. Remove from the heat. Strain and pour into a glass. 4. Add in the juice of half of the lemon and then add agave nectar. 5. Slice the other half of the lemon. Add 2 slices in the glass. Mix well. Adjust to taste. 6. Add ice to make it full glass. Refrigerate for 5 mins. Garnish with mint and serve. Reishi mushroom extract is possibly safe when you take it by mouth appropriately for up to a year. Possibly unsafe when you take it by mouth if it is in powdered form and for over a month. Powdered Reishi mushroom is known to have toxic effect on the liver. May cause other side effects such as dryness of the mouth, nasal area and throat. Consuming it may also lead to upset stomach, itchiness, nose bleeding and bloody stools. There is no reliable information that affirms the safety of Reishi mushroom for pregnant as well as breast-feeding moms. It would be best to stay on the safe side. People with bleeding disorders might increase their risk as a result of consuming Reishi mushroom. Reishi mushroom could lower blood pressure. If your blood pressure is too low, it is best to stay safe by avoiding Reishi. Reishi is also not recommended for people who have clotting disorders. High doses of Reishi increase the risk of bleeding. If you have a scheduled surgery, it is also recommended to stop taking Reishi at least 2 weeks before the procedure to avoid bleeding problems. Reishi is more like a two-sided mushroom as it offers many health benefits, at the same time it also has side effects. Knowing how to make Reishi tea allows you to enjoy the health benefits of this mushroom. However, to avoid its side effects, you also need to follow the recommended dosage. And if you have an existing condition as listed above, it is safer to avoid Reishi. Which one do you prefer: the basic or the flavored Reishi tea? If you have your own recipe, please feel free to share with us through our comment section. Also, if you think that this guide can help someone in your circle, please feel free to share it to them.